*Blue Ridge Village* is set in the heart of North Carolina's breathtaking mountain country! Take time to follow one of the hiking trails winding through the surrounding woods, or enjoy canoeing or fishing at the resort's trout pond. 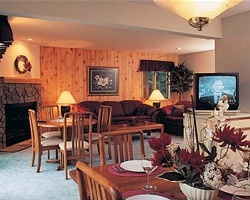 Golfing, Skiing, and Horseback Riding are nearby. Take advantage of the resort's indoor pool or relax in the Jacuzzi. Outside there is a tennis court, mini-golf course and stocked trout pond. The year-round recreation department is there to assist you. 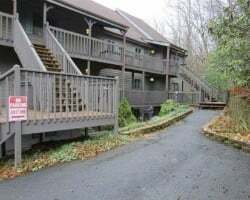 The Branches in North Carolina is part of the Sugar Mountain resort complex, offering four seasons of entertainment in the Blue Ridge Mountains! Golf, tennis, horseback riding, whitewater rafting, fishing, hiking, skiing, sightseeing- all are activities for guests to enjoy when staying at Branches! 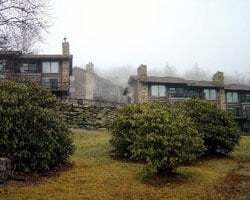 Nearby attractions include the Linville Caverns, Tweetsie Railroad Amusement Park, Blowing Rock, and Grandfather Mountain. Enjoy a beautiful, outdoorsy escape at Branches Resort! Rent week 1, starts on the first Friday in January each year. Fantastic ski week! Rent week 19! Price is negotiable. Escape to North Carolina's breathtaking mountain country!